After a courageous battle with cancer, it is with sadness and sorrow that the Dahlia Society of New Brunswick announces the passing of John Armstrong on January 28th, 2018 at the age of 58. John was a well-known dahlia grower, exhibitor, lecturer and senior dahlia judge in Atlantic Canada. John was a great supporter of dahlia shows and exhibited for many years at the Atlantic National Exhibition in St. John with his close friend and dahlia buddy Roger Savoir. John was active in the Fundy Dahlia Society for many years until it disbanded. He then joined the newly formed Dahlia Society of New Brunswick where he shared his dahlia expertise with new and enthusiastic members. 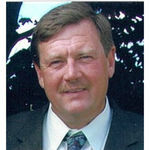 John is survived by his loving and devoted wife of 35 years Darlene (Laviolette) Armstrong; son Andrew (Katie Long); a precious granddaughter on the way; daughter Kaitlyn; brother Darrell Armstrong (Crystal) and two sisters Karen Boudreau (Ed) and Diane Armstrong; Laviolette family mother–in–law Greta; sisters and brothers–in–law Karen (Jose), Donna (Tony), Ronnie and Melvin; best friend Roger Savoie (Jacinthe); aunts, uncles, cousins, nieces, nephews and friends and canine border collie. John will be missed by his many dahlia friends.